1988 - Audio-Technica Taiwan Co., Ltd., is established. Audio-Technica (South East Asia) Pte. Ltd. is established in Singapore. Audio-Technica microphones and headphones are used at all venues in the Atlanta Summer Games. Audio-Technica supplies microphones to the Salt Lake City Winter Games, the third consecutive games for which Audio-Technica microphones are used. A-T introduces its 5000 Series advanced wireless systems, featuring true-diversity, frequency-agile operation with dual compansion technology, IntelliScan™ frequency selection and software for computer management and control. Audio-Technica microphones are used by Athens Olympic Broadcasting S.A. (AOB) in the broadcast of the 28th Olympic Games in Athens. Audio-Technica sets a new price/performance standard in side-address microphone technology with the introduction of the AT2020 side-address studio cardioid condenser microphone. Audio-Technica introduces the AT2010 cardioid condenser vocal microphone, bringing the studio-quality sound of A-T’s 20 Series to the stage. Audio-Technica introduces the first in its acclaimed line of QuietPoint® Noise-Cancelling Headphones. Audio-Technica changes the wireless landscape with the introduction of SpectraPulse®, a completely new application of proven, patented Ultra Wideband (UWB) technology. SpectraPulse UWB Wireless Microphone System bypasses the increasingly congested RF bottleneck to deliver clear, intelligible audio without the performance and set-up issues associated with conventional wireless systems. Audio-Technica microphones are used by Beijing Olympic Broadcasting in the coverage of the XXIX Olympic Games, August 8-24, 2008, in Beijing. Audio-Technica introduces M3 and M2 Wireless In-Ear Monitor Systems. Audio-Technica’s SpectraPulse® Ultra Wideband (UWB) System is recognized for outstanding technical achievement in the Wireless Technology category at the 24th annual Technical Excellence & Creativity Awards (TEC). Audio-Technica celebrates 20th anniversary of supplying microphone solutions for the presidential debates. Audio-Technica unveils "Experience More" branding initiative. Audio-Technica SpectraPulse® is used at the final 2008 Presidential Debate. Audio-Technica introduces its first USB mic, the AT2020 USB cardioid condenser, delivering affordable computer-based recording with studio-quality sound. Audio-Technica introduces its first ribbon microphones, the AT4080 and AT4081. New Audio-Technica 40 Series microphones are certified by the MetAlliance. Audio-Technica introduces BP896 subminiature lavalier. Audio-Technica continues its support of the world's finest athletes in Vancouver 2010. Audio-Technica’s ATH-ANC7b QuietPoint® Active Noise-Cancelling Headphones win Innovations 2010 Design and Engineering Award. Audio-Technica opens new state-of-the-art Technica Fukui facility in Echizen City, Fukui Prefecture, Japan, to further develop A-T’s wireless technology through research and product testing. 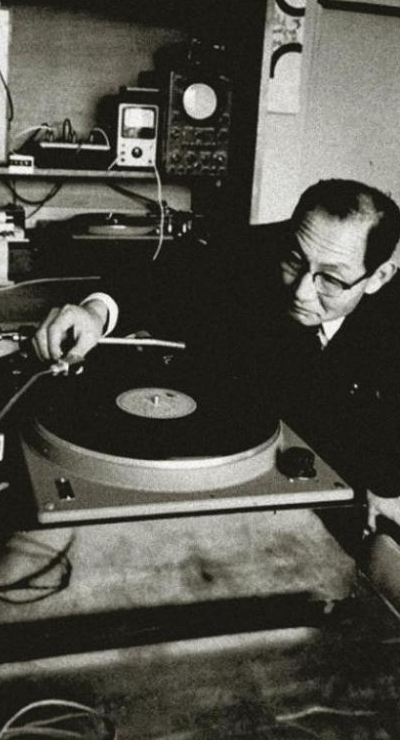 Audio-Technica celebrates its 50th anniversary. Audio-Technica microphones are used once again to enhance the live feel of sports TV, capturing the sounds from London 2014. Audio-Technica introduces the ATH-ANC9 QuietPoint® headphones with exclusive Tri-Level Cancellation™ for selectable noise-cancellation. Audio-Technica unveils high-fidelity System 10 Digital Wireless, which operates in the 2.4 GHz range, far from TV and DTV interference. Audio-Technica launches its flagship 50 Series of elite studio microphones with the AT5040 Cardioid Condenser Microphone. Audio-Technica introduces its first-ever gaming headsets, the closed-back ATH-AG1 and open-back ATH-ADG1, which provide audiophile sound quality and feature a built-in mic for in-game communication. Audio-Technica remasters its critically acclaimed M-Series line of professional monitor headphones to add more versatility and comfort while delivering incredibly accurate audio monitoring. Audio-Technica microphones cover all the action of the world’s greatest athletes in Sochi 2014. Audio-Technica launches a new line of Network Microphones with direct Dante™ protocol by introducing the ATND971 cardioid condenser boundary microphone with Dante network output. Audio-Technica introduces two new studio pros: ATH-M70x professional monitor headphones and ATH-R70x professional open-back reference headphones. Audio-Technica adds to the System 10 wireless family by introducing System 10 PRO, featuring a rack-mount design with remote-mountable receiver units and up to 10 simultaneous channels. Audio-Technica debuts the BP40, a large-diaphragm dynamic broadcast microphone with rich, natural, condenser-like sound. Audio-Technica brings the power of Bluetooth® wireless technology to its turntable line with the introduction of the AT-LP60BK-BT, fully automatic wireless belt-drive stereo turntable. Audio-Technica introduces the E-Series – ATH-E70, ATH-E50, and ATH-E40 – professional in-ear monitor headphones in the tradition of A-T’s critically acclaimed M-Series. Audio-Technica debuts the ATUC-50 digital discussion system, offering plug-and-play functionality, intuitive operation, 24-bit digital audio and an extensive feature set perfect for any meeting space.